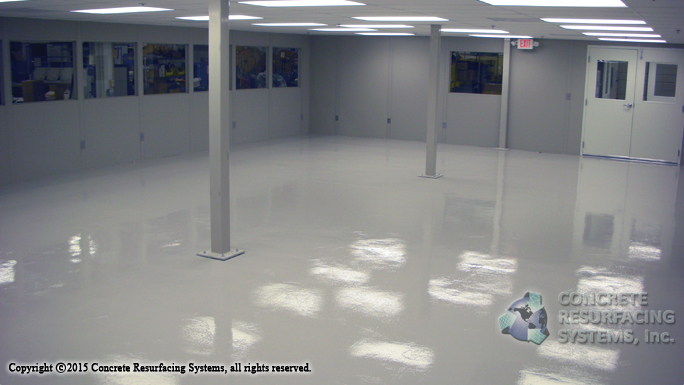 This electronics manufacturing facility in Brockton, MA needed an ESD / anti-static epoxy floor in their cleanroom. To minimize downtime, and not interfere with the manufacturer’s work, we were able to do all concrete prep work and apply the static dissipative floor over a weekend. Concrete Resurfacing Systems has the knowledge, experience and craftsmanship needed to install a static control floor (with a beautiful finish) in your facility. Unlike ESD floor tiles, raised-floor and modular / component based ESD flooring system, our anti-static / electro-static dissipative system is a seamless, abrasion and chemical resistant, continuous epoxy-tough coating that is applied over a concrete floor. 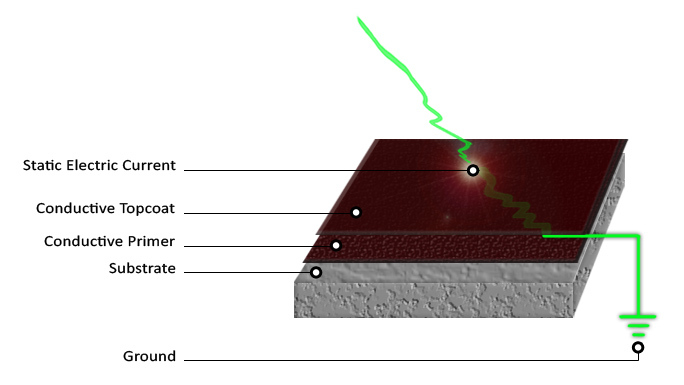 We will work with your engineer, architect or contractor to design a simple, dependable system to effectively channel static electricity to ground. 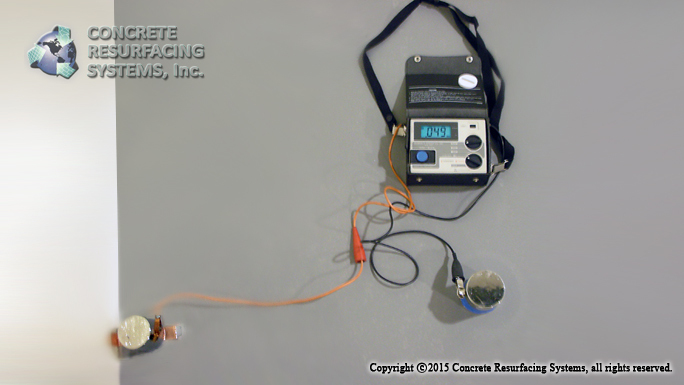 In above photo, a megohmmeter is used to test the electrical discharge capacity based on established tolerances for synthetic resin flooring by measuring the ohmic resistance. All anti-static epoxy floors installed by Concrete Resurfacing Systems pass this type of testing. From small electronics clean rooms, to large manufacturing or warehouse facilities, we can provide an electro-static dissipative floor that is functional, durable, easy to clean and maintain — and looks great! Most importantly, our anti-static / electro-static dissipative floor system will not slough off or abrade away in any type of environment and will stand the test of time.